I hope you are OK with my being proud as your pastor. I was proud of the work done by the Glo Team and other workers who put together a wonderful mission’s conference this past weekend. It was well done and I trust impactful for those who attended over the weekend and particularly this past Sunday. There was a great representation of both local and global outreach. As I said in my opening comments on Sunday, it was appropriate for us to break away from a typical Sunday to highlight one of our values as a church- outreach! It is not the only reason we exist as a church, but making disciples is our mission. That is the “why” behind our “What’s Next Campaign.” So as to not get lost in buildings and funds, I remind you of what is driving us to do what we are doing in this campaign. It should have been obvious as we made our way through stewardship month in the book of Haggai that we are all being challenged on a corporate and personal level to replace our “not yet” mindset to “it is time.” In the upcoming “What’s Next” newsletter, I apply “it is time” filter through our 4-E ministry model as it relates to our capital campaign. “What’s Next News” will be available this Sunday. I hope you check it out. This Sunday we will resume our sermon series on “Living in the Shadow of Hope,” from the book of Revelation. As we make our way from chapter 13 to chapter 22, the heartbeat of the book is to not live as if we don’t know how it will all end. These final 10 chapters carry a certain strangeness to them that stir our curiosities yet challenge us to live on purpose for we know the ending! Are you ready to dive back in? Also, this Sunday the Bible study, “Portraits of Jesus” will meet at 9:00 am in the fellowship hall. This week’s study will focus on the characteristics of Jesus’ teaching and what sets Him apart from all other teachers. Consider how you might practice Biblical fasting between now and Resurrection Sunday (April 21). Fast from food in order to feast on God. Designate a period of time in which you will abstain from eating to focus on Jesus and His priorities. Skip a meal or two and let your hunger drive to hungering for His Word, meditating on Scripture, and communing with Him in prayer! 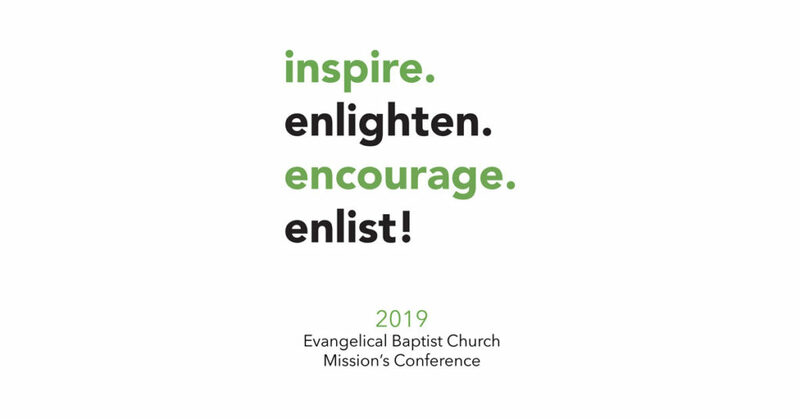 Revisit page 2 of your mission’s conference booklet. What is at least one way you will respond to the challenge from last Sunday? Plan on attending the “What’s Next” banquet on Friday, April 5. There will be fun activities for the kids as well at the church while we all enjoy an evening at Pheasant Ridge Country Club. Church, God is building something here at EBC! I urge you to continue to pray for our alignment with Him as we anticipate good and even unimaginable things from His hand in using us for greater impact in the region and beyond! This Sunday, Volume 2 of the What’s Next News will be available. Get your copy! Prayer is a huge part of the What’s Next Campaign. We are asking you all to commit to 30 days of prayer surrounding the What’s’ Next Campaign beginning in March. This Sunday we will have a Prayer Commitment Card in the bulletin for each of you to fill out. We are asking everyone to fill out this card, tear off the bottom portion and return that to the office or place in the offering plate. More details to come! We will resume our study and look at Jesus as Teacher this Sunday February 17th during the 1st service. Join us in the Fellowship Hall at 9 am. All Christian singles are welcome in your 20’s and 30’s. Meet at Wayfarer February 14th and 21st from 5pm-7pm. Sign up at the Ministry Counter this Sunday. That is our theme for our Missions’ Conference this weekend. We hope that everyone will join us as we are inspired and enlightened by the local and global missionaries that we support. On Sunday morning, there will be a variety of workshops to choose from as several of our global and local missionaries will be speaking. You will want to check out the mission’s fair set up in the fellowship hall. There will be something for the children as well. 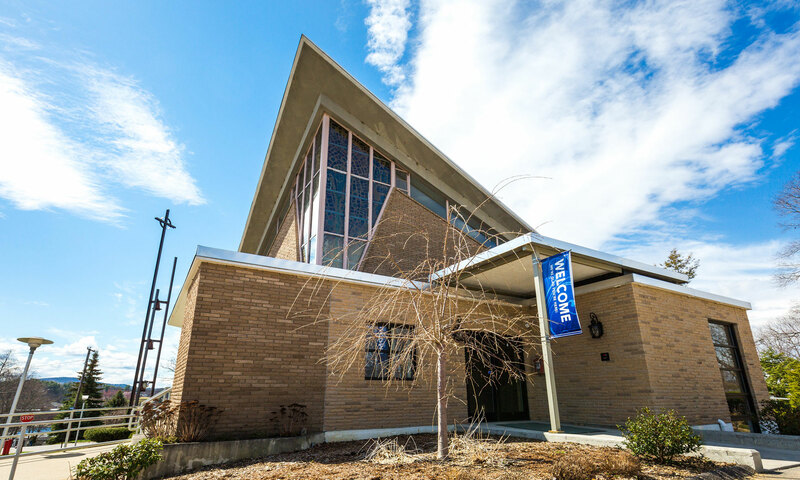 Don’t forget that Sunday morning will begin at 9:30 in the sanctuary with worship. This exciting weekend will kick-off with a prayer time on Friday night at 7:00 in the worship center. A men’s breakfast will hear of the great things God is doing locally through the Love INC ministry. The breakfast begins at 8:00. Women’s brunch will follow at 11:30 as the ladies will not only enjoy good food and fellowship but will hear from two of our missionaries. Be in prayer that our hearts are stirred by this weekend and that even from this time God would raise up more workers for his harvest field in this region and beyond! I want to keep in front of you the “what’s next campaign” in which we are being called as a church to ask God what’s next for EBC. As we learned working through the book of Haggai it is time to commit to kingdom priorities and put to rest our “not yet” reasoning for not doing what God has called us to do. Now, a part of that is related to our buildings and campus. It is time to address some facility needs to increase our efficiency and grow our effectiveness. When God brought us to this campus, we knew there were projects left undone until a later time. That time has come. And as I have shared in the “what’s next” newsletter #1 it is all tied to our mission and objectives as a church. I share more about that in newsletter #2. I hope you picked up a copy of newsletter #1. Newsletter #2 will be coming soon! I hope you have marked down Friday, April 5 on your calendar. April 5 is our what’s next banquet. More will be shared on that night of what we are asking God to do financially through His people. We will notbe asking for any money on that night. We will be asking that you seek God on what He wants you to do as we move forward as a church. Portraits of Jesus study on Sunday mornings at 9:00 will not meet this Sunday but will pick it up again on Sunday, February 17. If you haven’t been able to make it yet, come to the study on February 17 as we will look at what it means that Jesus was called a “teacher” (over 30 times in the gospels). I am looking forward to returning to our sermon series on “Living in the Shadow of Hope.” We will be resuming our study in Revelation on February 17 as we will look at the tale of two beasts in chapter 13. One last thought as I close. Consider how you might practice Biblical fasting between now and Resurrection Sunday (April 21). Fast from food in order to feast on God. Designate a period of time in which you will abstain from eating to focus on Jesus and His priorities. Skip a meal or two and let your hunger drive to hungering for His Word, meditating on Scripture, and communing with Him in prayer! See you soon! Remain in Him, church! Coming next week we will resume our study in the book of Revelation.